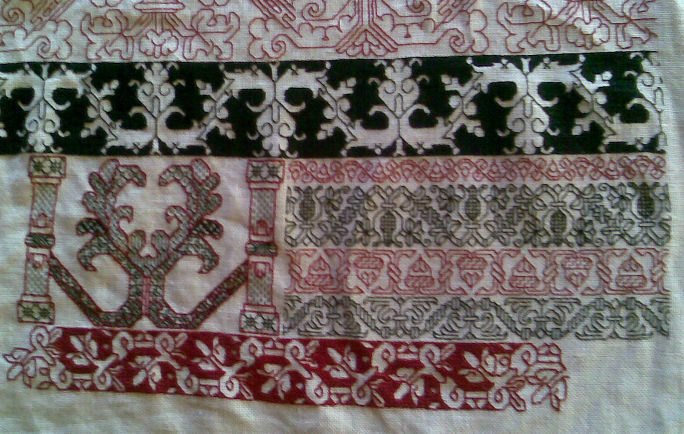 I’ve finished the panel of narrower bands to the right of the central motif. Now, with my right hand edge better established, I can finish out the voided, red band immediately below. Then it’s on to th set of four narrow bands on the other side of the center. They’ll be different (and different widths) but they will also alternate red and black. For the record, all four of these narrow bands can be found in TNCM, the pomegranate and foliate bands being two of my special favorites. Here’s a partial shot showing more of the piece. 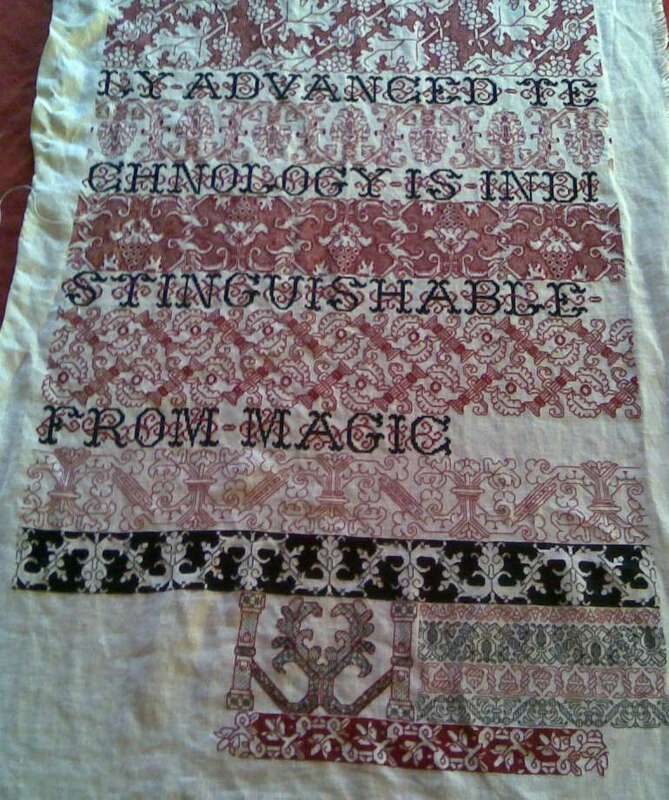 I still have to fill in “-A.C. Clarke” immediately to the right of the word “magic,” but I haven’t identified the smaller but complementing alphabet to use. I’ll fill any left-over space above and/or below the author’s name with another narrow black double running stitch band. And on the bottom? Yes – there’s one more wide band to go after all of this is done. I’m not sure. Something spectacular, with liberal use of both red and black. I’m not sure what that will be either, although I do know that whatever it is it will need to be between 50 and 60 units tall. (point of reference – the grapes at the very top of the photo above are 65 units tall.